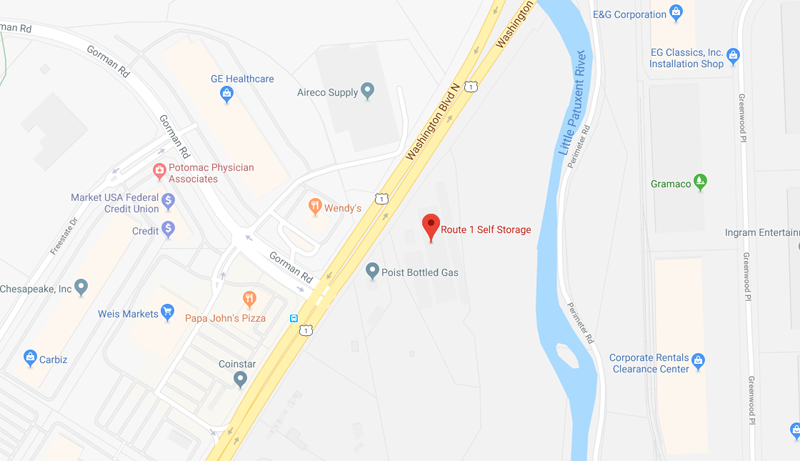 Route 1 Self Storage Laurel is located on Route 1 just south of Route 32. Easily accessible from all surrounding areas, we proudly serve the neighborhoods, of Laurel, Columbia, Fort Meade, Savage, Elkridge, Beltsville, Burtonsville, and Ellicott City. Stop by or call us today to reserve your storage in Laurel!